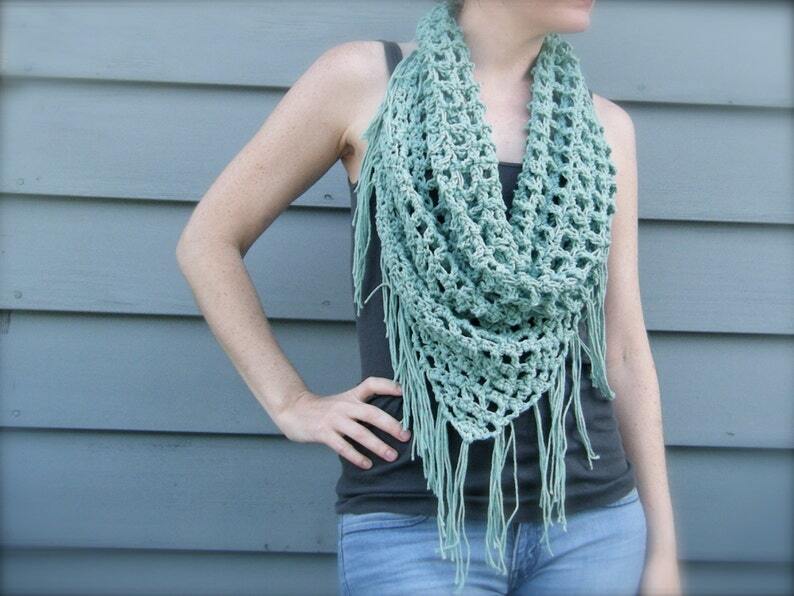 This light weight scarf has an open-weave pattern and looks great in any color! Crochet it in cotton yarn for spring and summer. Uses worsted weight yarn and size K hook. Stitches used: slip stitch, single crochet, half double crochet, chain. As always, I am available for help along the way. *FREE crochet patterns at www.swellamy.com. Subscribe to my blog and like us on Facebook! I was really disappointed with this. the garment does not finish as the picture. It comes out smaller, also skewed. I tried it with several different yarns and hooks. Altering the chain turn helped a little with the skew. Finally, I asked a friend to try it and she had the same poor results. Therefore, have abandoned. Sorry to be negative. Very nice and easy to follow pattern. I have made several.